As the season draws to a close, we see the penultimate tournament of the European Tour pitching up in Hong Kong at none other than the Royal Hong Kong Golf Club. It has been renamed the Hong Kong Golf Club after dropping the Royal back in 1997. The club was founded in May 1889. Permission was obtained to play at Happy Valley, an area that was also used for football, polo, hockey and military parades, so the golfers had to take their turn. By 1891 membership had boomed so a small shed was built where refreshments were served. Due to the “crowded conditions” it meant that from 1896 ladies were only permitted to play golf on a restricted basis. As the membership grew the Captain and Club officials were forced to find a new location. In September 1898, land at Deep Water Bay was found and the land was leased with the agreement of the Government and a clubhouse was built in the same year. In 1903 Happy Valley was turned over exclusively to the Golf Club, except for Wednesdays and Saturdays when soccer and cricket were played. Ladies were only allowed to play on Sundays. 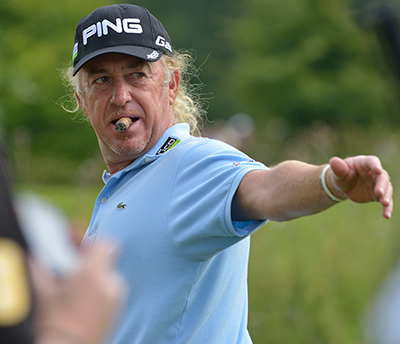 It’s hard not to go with Miguel Angel Jimenez – 12/1 with PaddyPower – who is not only defending champion but is also on for three wins in a row in this event, he has four wins in total and has only been outside the Top 20 twice since 2005. This is Miguel’s first season playing tournaments on both the European Tour and Senior Tour and Jimenez still managed a Top 5 finish in this year’s Masters and a Top 10 at the Seniors Open. Miguel obviously loves playing this track and will no doubt be challenging again this week. 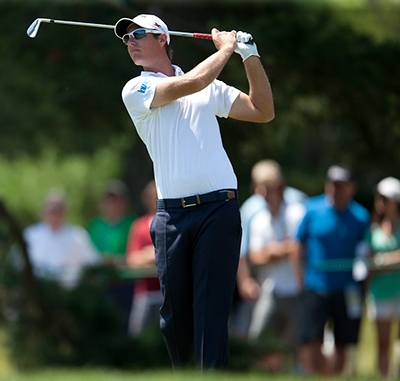 Its hard to know how Nicolas Colsaerts – 18/1 with StanJames – would have fared if the Portugal Masters hadn’t have been abandoned after the second round. He was obviously disappointed not to have made the 59 on Thursday and there was a reaction to that on Friday, but I personally think he would have recovered that momentum to go on and win the tournament. Nicolas showed signs of coming out of his slump of form at the Wales Open and having to commentate for the BBC at the Ryder Cup, I think that certainly wetted the Belgium’s appetite again. I believe we will see him in the thick of it again here come Sunday. Another past champion here who comes into this week in good form is Grégory Bourdy – 25/1 with bet365 – who won here in 2009, and has two other Top 25 since then. 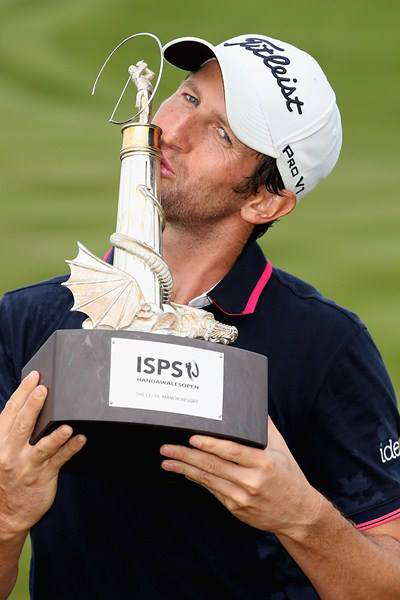 Grégory will probably be slightly disappointed that last week’s Portugal Masters was washed out after shooting a second round 65 to put him right in the thick of it. It’s been an up and down year for the Frenchman but I think we will see him in contention again this week. Someone who I am going to stick with again this week is Robert-Jan Derksen – 33/1 with ladbrokes – as you know the Dutchman will be retiring this year and the Hong Kong Open is a tournament he seems to enjoy playing in. Robert had a Top 5 finish here last year, firing a final round 65, he also had a Top 3 in 2009 where he opened with a 63. He obviously enjoys playing here and as I have stated over the last couple of weeks, Derksen would love to go out with a win and there are not going to be many better opportunities than this week. Prom Meesawat – 50/1 with SportingBet – won a couple of weeks ago in the Yeangder Tournament Players Championship on the Asian Tour and currently sits in sixth place on that order of merit. Prom also had a runners-up finish in this event last year, and has only been outside the Top 25 once in the four European Tour events he has played so far this year. Scott Jamieson – 66/1 with SportingBet – will be another disappointed player from last week’s Portugal Masters, Scott opened that event with a 63 on a great day for scoring. Jamieson has been threatening to breakthrough and challenge this year but its’ never quite materialised. The Scotsman has five Top 20 finishes from his last eleven starts with four of those being Top 10s. Jamieson has played in this event once before and opened with an 85, he did follow that up with a 72, but the damage had already been done, but that was his first year on the full European Tour.